Are You Being Financially Bullied? Take This Quiz. Happy Friday, lovers! You’ve probably seen this article/quiz floating around the interwebs by now (I’m a bit slow, what can I say), but in the off chances you haven’t I thought it made for some good stuff to think about over the weekend. And, with life in general for that matter. Financial bullying occurs in a committed relationship when one partner uses his or her power or influence to control the other financially. If your communication needs to get back on track … Keep the lines of communication open, and get comfortable with expressing any concerns you might have to your partner. Sit down with your partner, and re-evaluate how you’re handling money as a couple. Agree to check in on your finances together once a month. Having a regular conversation can help stifle controlling tendencies before they get too serious. 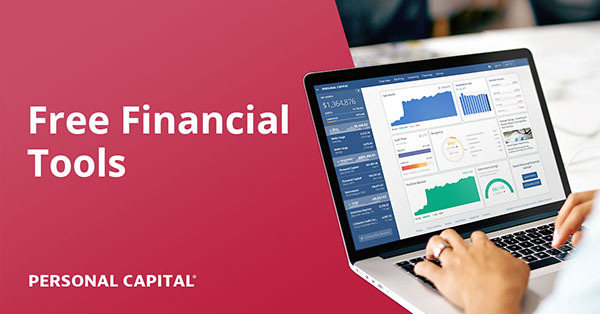 If you partner seems somewhat controlling … Start with a simple financial monitoring tool such as Mint, Credit Karma or LearnVest. Being informed about your own finances will help you take back some of the control you may have lost. If your partner is willing, you also might consider couples’ therapy. You can use the American Association for Marriage and Family Therapy’s therapist locator to find a professional near you. If you think you’re dealing with a financial bully … It’s important to address issues as soon as possible. If your partner is unwilling to change his or her ways, take steps to protect yourself and your finances. Talk with someone you trust, like a friend or family member, or consider getting professional guidance. Be prepared to take some serious steps to stop financial bullying, such as changing the PINs or passwords on your financial accounts or putting a fraud alert on your credit. Basically, it all comes down to communication and both partners being open to change. Something a lot easier to think about/say, than do unfortunately. BUT, *knowing* where you stand is step #1, just like with anything in life and money. So once you grasp that, it’s upward and onward to laying down those tracks for a better future! And we SO HOPE you get there! Have a blessed weekend, everybody. 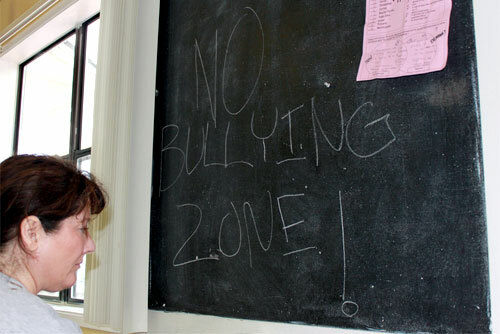 And if you’re currently one of the 62% bully-free, be sure to count your blessings. Our communication has come a long way from the beginning. Mint was a GREAT tool to help. My wife is a SAHM and doesn’t really have too much interest in all of the details, but sometimes gets nervous if it’s been a little while since she’s looked at the big picture. A quick scan of Mint does wonders. Yes! Love it! Mint – and others like it – is perfect for that. Great topic! Communication is so important! This is one of the big changes for my wife and I over the last several years and has really helped improve our financial situation as well as our relationship! Phew! I passed with flying colors. My gf is less financially-minded than I am, but I am committed to letting her run her finances the way she chooses. Honestly, that has led to her seeing my lifestyle, asking about it, and adopting some of my more frugal habits naturally! I will absolutely help her with her finances, but no matter what happens in our relationship, I will never view her finances as my own and I think that is where people get in trouble. Right – and to clarify my comment: “I will never view her finances as my own” – I may, someday view them as OURS, but never as mine to force my spending habits on. Wow – great topic! I volunteer with a service organisation whose mission is to advance the status of women, and sadly financial control has historically been one of the worst problems women have had to fight for. It has only been in my own lifetime that here in Australia a married woman could keep her job in the public service. And only in my generation has the SAHM become a minority. with a divorce rate close to 50%, too many women suddenly find themselves alone and poor cause hubby kept control of all the money. many are forced to stay in unhappy relationship and tolerate this crap cause they can’t afford to leave. Your post helps normalise this conversation and help all the young people out there to realise their responsibilities re: financial security when in a relationship. Or as we like to say to the girlies: don’t end up with an STD: Sexually Transmitted Debt. Sexually Transmitted Debt! HAH! I like that :) And even more so that you work at that organization and help women gain control again! I can’t even imagine a lifestyle where you feel like you’re stuck because of money or abuse or whatever the case. Just hurts my heart and happy that people like you are out there trying to change that. SO GOOD JOB!! Very sad. Luckily we have pretty good communication skillz, although we definitely have different tastes and have to communicate about those. Interesting quiz. In domestic violence circles, they’d call that financial abuse, not bullying. But I guess that’s just semantics. I thought the same thing Rebecca. I wasn’t certain how they’d view me on that question as both my wife and I get an allowance to do whatever we want with. Agreed, Rebecca. In relation to the bulletized list above (not the quiz), “ABUSE” is really a better term than bullying (forgive the shouting, but I want people to notice it, this is an under-discussed issue and one that hits home with me). Because really, with only a very few exceptions, if there is any kind of actual bullying within a relationship, that’s pretty much all going to go under the category of emotional/psychological abuse. If that’s your dynamic, please consider reading a Lundy Bancroft book (ignore the pronouns, women do this stuff too). That said, the same financial behavior the article mentioned could be agreed-upon between partners – “I don’t have the willpower to resist using a credit card so I shouldn’t have one” “I need financial accountability, let’s make it so I have to show you all my receipts” (or review Mint regularly or whatever). That is clearly not abusive, that’s teamwork and being creative in handling one’s own weak spots. And there’s no question that one person can be better with finances than the other, and take on more responsibility or decision-making. Great comments! Thanks for sharing and putting it out there! I am personally super naive about this stuff (abuse/bullying) so it’s great to see the expanded dialogue here. And I, too, thought the allowance one was a bit off ;) But I understood the message behind it so let it go… I don’t see any problem with both parties having an allowance if it’s what both want and agree upon together! It’s when one side dominates the other and doesn’t allow for an opinion/say when it goes down hill. Great and much needed topic J! I’d have to agree with Rebecca that in domestic violence circles this would be chalked up as abuse and not bullying – but I get the point. :) It just goes to show you that communication is huge in a relationship – especially when you’re talking about important matters like money. On the bright side, I’m not being financially bullied! My partner and I communicate pretty well about finances though we struggle with all the normal stuff like staying on budget. I LOVE this post, and I am so glad that you highlighted this quiz. As a financial planner, I see this ALL the time with my married couples. I joke that I am frequently acting more as a therapist then an advisor because money issues are difficult to work through and you truly sometimes need a disinterested third party to break any money wars. But what if being a financial bully makes you feel like a big strong man? Then is it okay? I’m bull-free! Yeah! Haha I do tend to ask my husband for receipts though, for budgeting purposes and to check with the credit card statements. He’s horrible about keeping and organizing receipts so I only get a portion of them. We’ve all heard that money (communication – or lack thereof, having it, not having it, etc.) is the leading cause of marital arguments, and it can often be quite a touchy subject for so many that it’s not surprising that so many people get “financially bullied” in some form. We had a series a little while back on discussing “who makes the money,” “who manages the money,” and “who spends the money.” It’s certainly not that it needs to be an even split across all three of these for a couple (as any one person could be the “primary” in several of these areas), but what is important is how we communicate about our expenses to be able to keep those lines open, so we’re both on the same page. Being open to suggestions and not just pushing your own agenda will take you far in your relationship – especially if you make the whole money management process collaborative, so you can lean on one another’s strengths. Amen, brotha! Might have to steal that ““who makes the money,” “who manages the money,” and “who spends the money.” idea too ;) Would make for a fun post down the line. Thanks! Glad you like it. I think it was very well received too as it’s a good topic to delineate who does what and how you split up the financial duties to play on one another’s strengths. 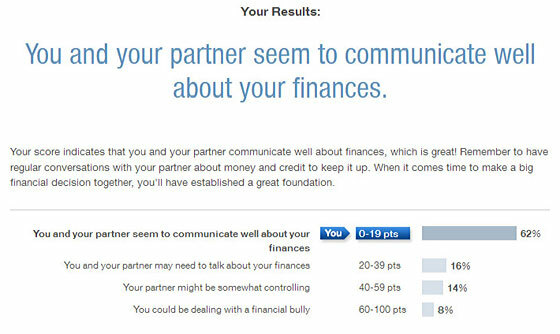 After the first pass, I thought “Crap… I’m a financial bully.” Sadly, I’m somewhat relieved to see that I might just be a little controlling. Ugh. Looks like I need to have a talk with the husband… and maybe a little come-to-Jesus chat with the self, too! Unfortunately, I do tend to be a bit of a bully with the bf. It’s just that…and here comes the excuse…he loves spending money on certain things/experiences that have no relevance to me. And because our expenses aren’t combined just yet, I really shouldn’t have a say. It’s something I’ll definitely have to try and get better at. Okay, yeah, I am a bit controlling as well. Not without cause, though – he’s a reformed PF failure and needs help being kept in check sometimes. But our motivations are good! I’ve been a SAHM for awhile, and something I highly recommend (if you fall in this category) is having the SAH-spouse do the finances and manage all the money. I think it helps prevent bullying from the working spouse. It requires so much trust! Anyway, my in-laws encouraged us to go this route once I stayed home with the kids, and I am so glad we did. To this he earns the $$ and I manage it. Also, because we stick to a budget, he and I almost always have fun $$ to spend (on lunches out with friends, movies, clothes, books, whatever). I wouldn’t call it an allowance, because we aren’t structured about it, but that’s basically what it is. Financial communication is so important!! Wow, J. Money. That is scary stuff. I never knew this was such a problem. Thanks for sharing an eye-opening article. I know I’m guilty of being the receipt monitor. It’s not about how much hubby spends, I just like to enter receipts manually right away. I get lazy when it’s automated. I’m the one who polices the spending too. So maybe I qualify for an ick. LOL I just try to be large and in charge not a bully. This is such an important topic. Being on the more “mature” end of the reader spectrum and having my share of failed relationships, I have personal experience with this topic. I feel very strongly about it and wrote two posts last year that touch on it. Ohhhhh yeah….My now-ex was a major financial bully. He was emotionally and psychologically abusive, and money was a big, big issue. So very happy that my new partner shares my financial values. Specifically, we don’t mind spending on things that matter to us but we don’t waste our funds on things that don’t make any difference in our lives. We split the cost of necessities but after that neither tells the other what to do with his/her funds. Man, I wonder if I’m a financial bully. Sometimes I give my wife a hard time (in a somewhat teasing way) when she spends too much on groceries that could have been found cheaper. She puts the receipts on my desk (her initiative but I appreciate it at lot) so I can enter it into YNAB, and I clearly manage most of our finances. She also gets an allowance, but so do I.
I have to admit we’ve been having financial issues with my partner lately. We are quite a spender and we don’t get too agree much lately on which ones are to prioritize when it comes to spending. I think I come across as a bit of a purchase checker sometimes when going through our budget but have eased off of that over the last few months. Hopefully I was never in the bullying category! I can think of a few couples I know where one person does fall into it unfortunately. I’m talking about, no you can’t buy that for £50 but I’m buying this for £500 type stuff. Pretty extreme! It’s tough to see but there isn’t much you can do but offer some well intended advice and support if needed. I often think specifically about couples where one person hands over their paycheque to the other person and I could never understand that has being a part of a healthy relationship but could never find the right words to describe it. Financial bullying is a really good start! And this simple quiz is so interesting and great to get people thinking! Glad you enjoyed it ;) There’s nothing inherently wrong with one person managing the money of the household completely of course, but if there’s anything against their will going on, or other non-niceties, then yeah – bullying is coming into play! I’m so sorry to hear – that sounds horrible :( hopefully someone can chime in here with some tips for you! Check out the links I’ve included in the article above too in the meantime? Maybe something will help out? I’m sorry to hear :( Have you tried counseling before? Would she be open to have a conversation about it?